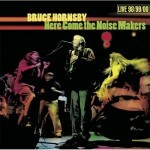 Another double album, Bruce Hornsby’s Here Come the Noisemakers was the first commercially released live record. Performances from 1998 to 2000 were recorded, with songs spanning Bruce’s entire career. It also included some choice covers. Curiously, only three tracks scored higher than their studio counterpart – Jacob’s Ladder, King of the Hill and Spider Fingers. Five tracks scored 80% or above, notably Mandolin Rain > Black Muddy River, which topped your ratings. Top scores of all releases to date on musicality and production. Amazon: Since Bruce Hornsby first infiltrated the pop landscape in 1986 with the year’s most socially conscious ballad, the Virginia native has proven himself to be a gifted singer-songwriter, piano player, and bandleader. All of those talents are much in evidence on this double CD of live material culled from his band’s last two years on the road. A pianist with the chops to evoke everyone from Keith Jarrett and McCoy Tyner to Floyd Cramer and Vince Guaraldi, Hornsby takes a number of opportunities to stretch out here, including a solo introduction to his breakthrough hit, “The Way It Is,” that explains why he almost ended up on the Windham Hill label. Not surprisingly, the latter-day Grateful Dead sideman also gives his band plenty of instrumental slack, which can make lengthy workouts like “Spider Fingers” a bit daunting for pop listeners. But devotees of Hornsby’s more straightforward material will still find much to love here, including haunting renditions of “The End of the Innocence” (written with Don Henley) and Hornsby’s more recent “Fortunate Son” (not to be confused with the Creedence song). 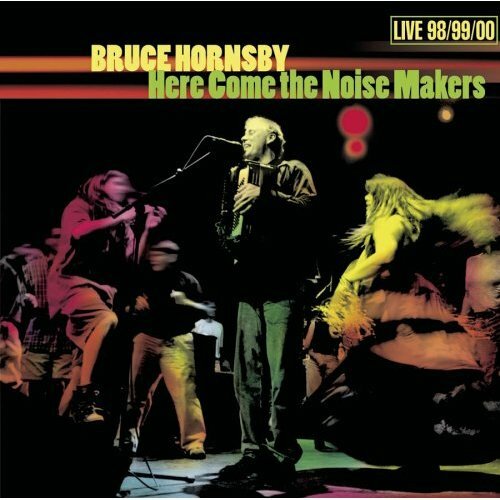 There’s not much that could be called noise here, but Here Come the Noise Makers proves Hornsby is still a jack-of-all-trades and master of many. Pop Matters: It takes a lot for a musician to continue to thrive in his chosen profession long after the hits have stopped coming. Bruce Hornsby has managed to do so through touring, on his own and with others, and that focus pays off here with an entertaining and illuminating look at his career so far. Jam! Showbiz: He did a stint playing keyboards for the Grateful Dead. He produced an album for Leon Russell. But no matter what he does, singer-pianist Bruce Hornsby can’t seem to shake the bland, vanilla-pudding reputation created by songs like The Way It Is. Here Come the Noise Makers, his free-wheeling and diverse live set, might be his best shot yet at convincing people there’s more to Bruce than a melodic right hand and an endless string of lite-FM melodies. Over the course of 18 spacious tracks spread across two CDs, Hornsby and his backup band display the wide, er, range of their abilities, casually and confidently tossing in bits of jazz (Gershwin’s I Loves You Porgy; Bill Evans’ Twelve Tone Tune; Bud Powell’s Tempus Fugit) and classical (Samuel Barber’s Nocturne) next to the Dead and Dylan covers (Lady With a Fan, It Takes a Lot to Laugh, It Takes a Train to Cry) and familiar originals. The result is a strangely compelling jam-band hybrid of The Band’s earthy grooves, Steely Dan’s brainy pop and Paul Simon’s Graceland rhythms. OK, it’s hardly a double shot of espresso, but it’s at least a vanilla latte. The beauty queen and the wallflower, feel the same in their darkest hours.